Covering Southland, Queenstown and Central Otago, Plumbers and Building Services Limited (PBS) garner more than 100 years collective industry experience in there team. 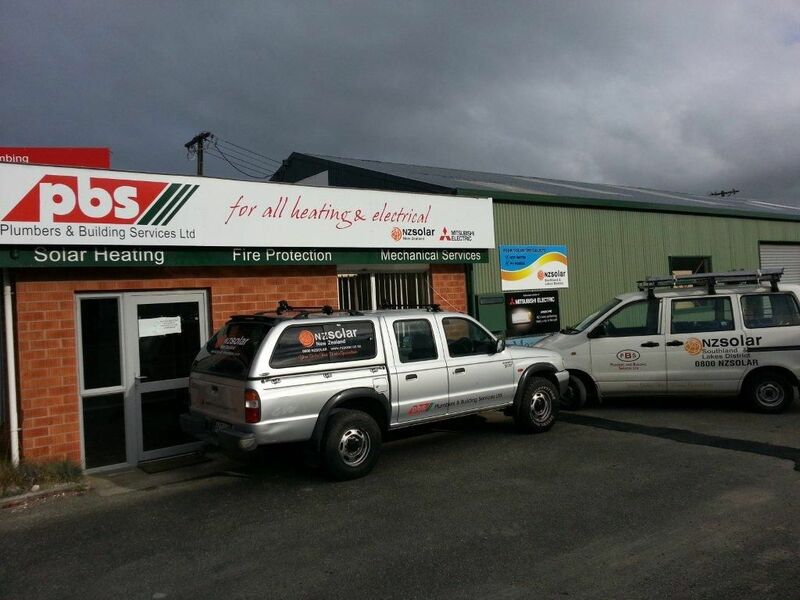 Region-wide they have a staff of more than 30 certified plumbers, electricians, gasfitters and drainlayers and heating and air-conditioning engineers operating from Invercargill and Arrowtown bases. Solar Industries Association accredited installers PBS offer a free, no obligation consultation and quote in homes and business throughout Southland and the Lakes District. Your one stop shop for all your solar needs . Contact PBS for all your solar hot water heating and photo-voltaic electric needs.